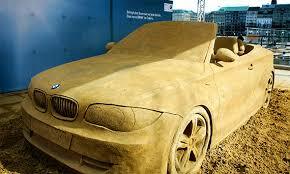 A huge haul of BMWs destined for the UK have had to be destroyed after unexpected weather blew sand from a nearby construction site onto the stock whilst they were waiting to be transported to Britain. Up to 450 BMWs were damaged beyond repair in the accident as the cars were parked in the northern German port town of Cuxhaven. The average cost of the German firm’s most popular vehicle, the BMW 3 series is £25,000, which puts the estimated cost to the company at a eye-watering £11m. If you love BMWs why not get yourself a quality used 3 Series today? MotorDepot advisers are online now and able to provide you with advice and information.